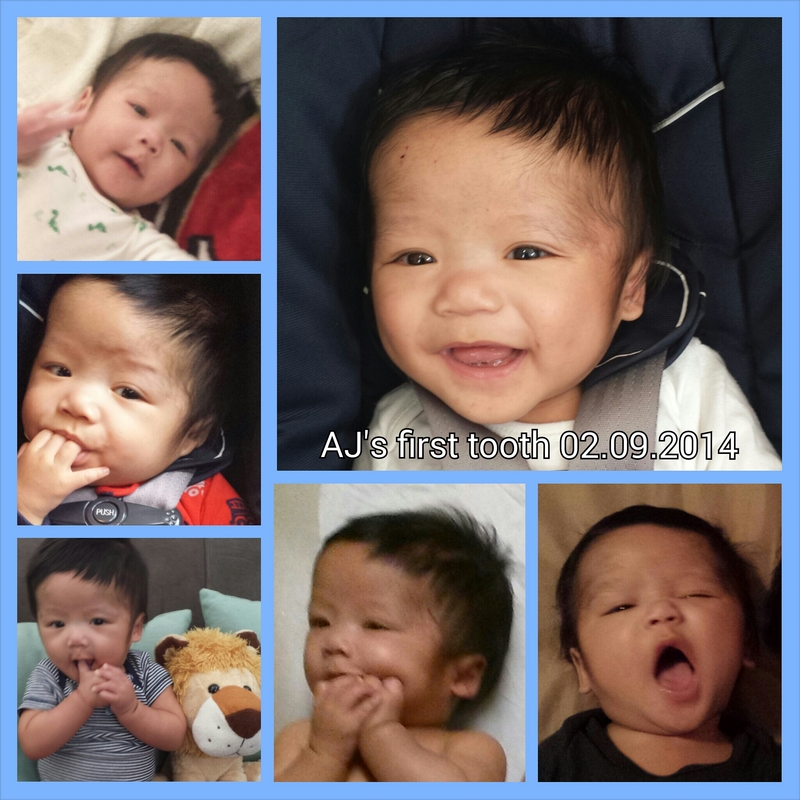 Adrian first tooth made its debut last week! 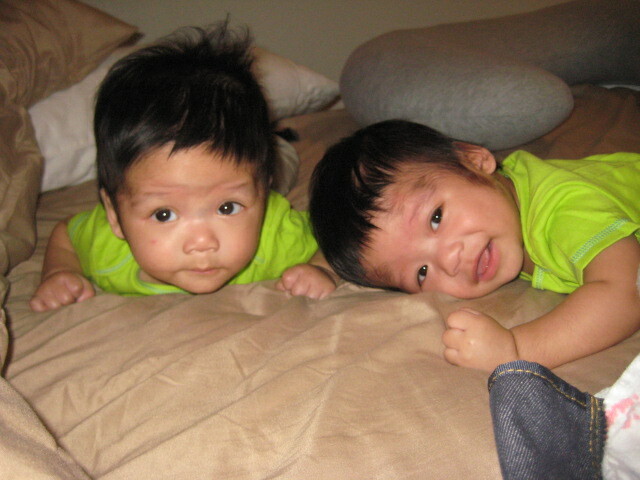 Time is flying by so fast that both he and Jeremiah have their second ones peeking through. I really need to take a snapshot of these cute little teeth. I will certainly miss their toothless grins. 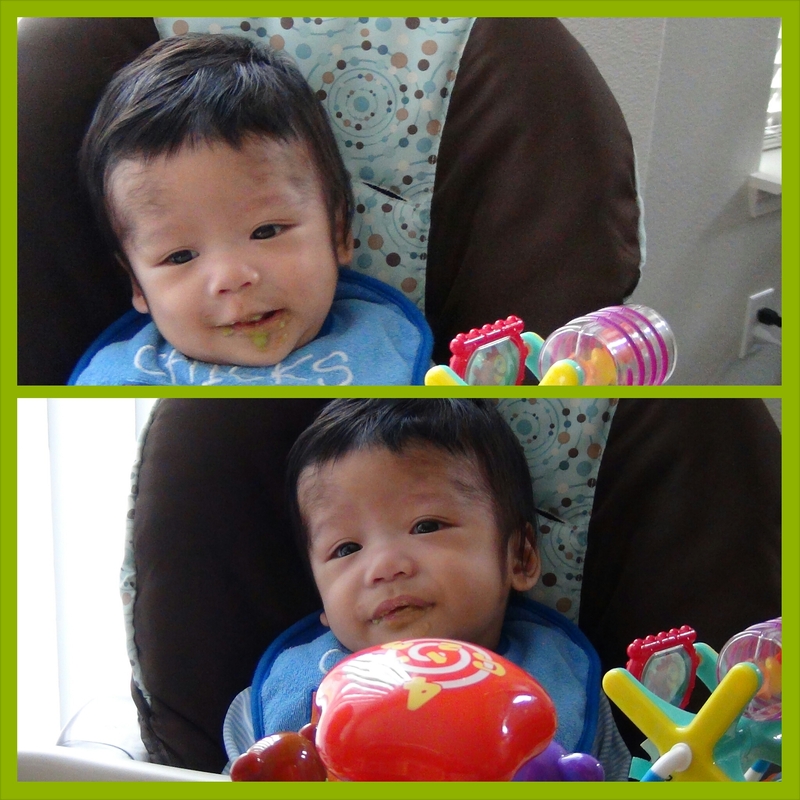 We have officially started on solids! WOW is what I have to say first. 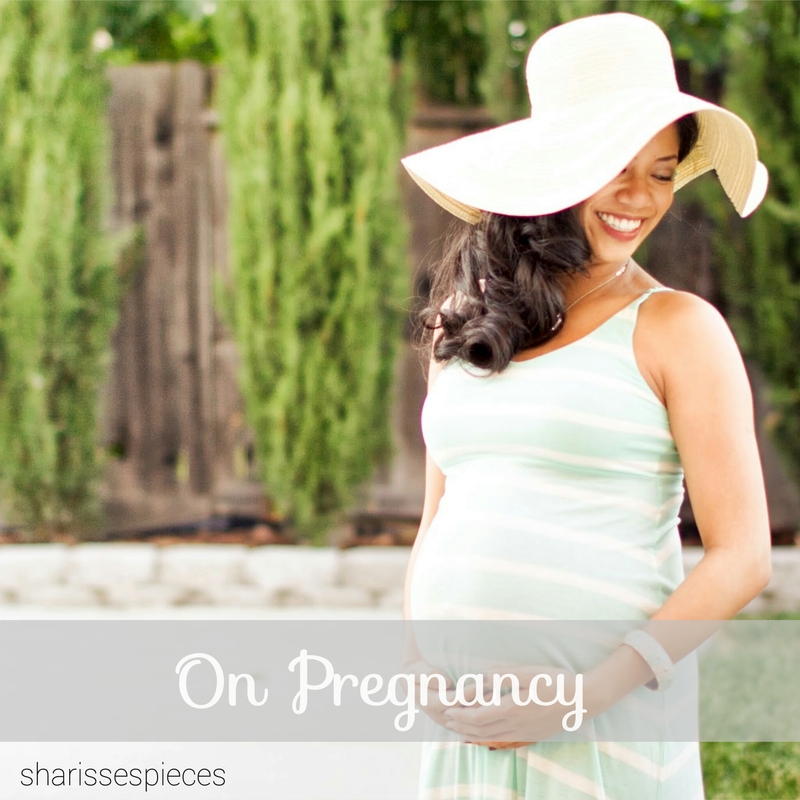 The world of introducing solids to your baby is as overwhelming as when we first learned we were pregnant. What foods to start with? Rice cereal or straight to fruits and veggies? Four months or six months of age? Homemade or pre-packaged? My head hasn’t spun this much since I first stepped into Babies R Us for our own baby registry! 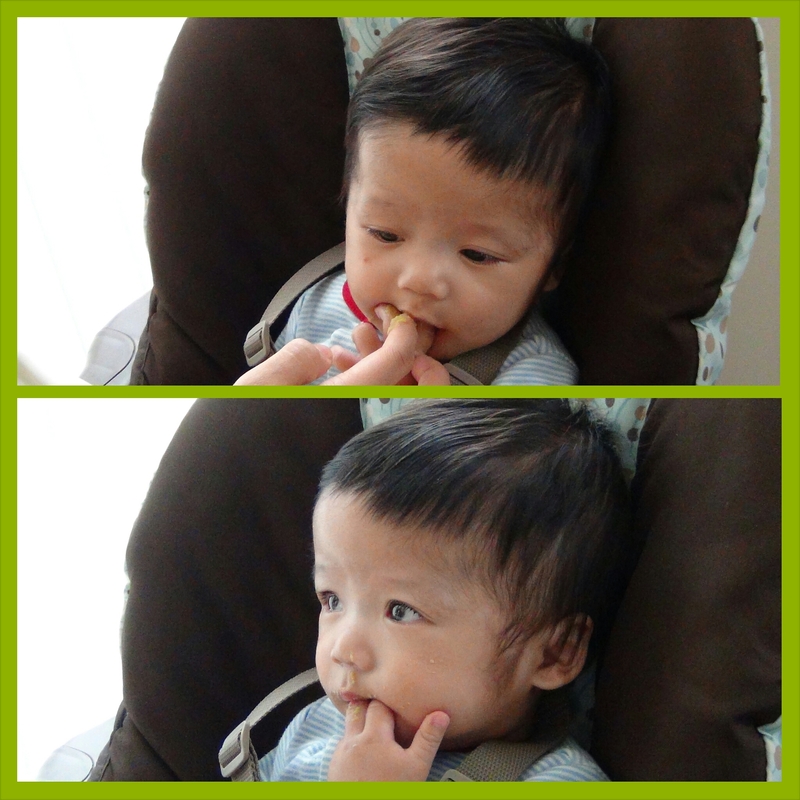 For now, we decided to introduce the babies to solids at six months (we began at the beginning of this month) and we skipped the rice cereal. After hearing there is not much (if any) nutritional value to rice cereal and it is merely to fill babies up and introduce them to the texture of food, and learning that it is OK and even encouraged to go straight to fruits and veggies, that’s what we did! First food was peas. Believe it or not, but peas are one of my favorites. Ask any of my family members and they’ll tell you how I love eating the peas they pick out of their own meals and set at the edge of their plates for me! Next, we tried squash. Currently, we are working on sweet potatoes! So far, Adrian is getting the hang of things and even opens his mouth when the spoon gets closer to him! It’s so fun. Jer on the other hand is getting better each time. He is still making silly faces and isn’t showing us that he loves it. The key thing to remember during this time is “before one, it’s all for fun!” We are just practicing how to eat and the babies still get all of their calories/nutrition from breastmilk and formula. The babies got sick for the first time! I forgot who had the fever first, but both babies definitely were congested, had runny noses, and were coughing. Luckily, they were in good spirits and only had to miss daycare for two days. It’s certainly hard to see your babies sick. But in a weird way, I’m glad they did just so we can know what to expect and how to take care of them in the future. With daycare, we were warned they’d be getting sick often! 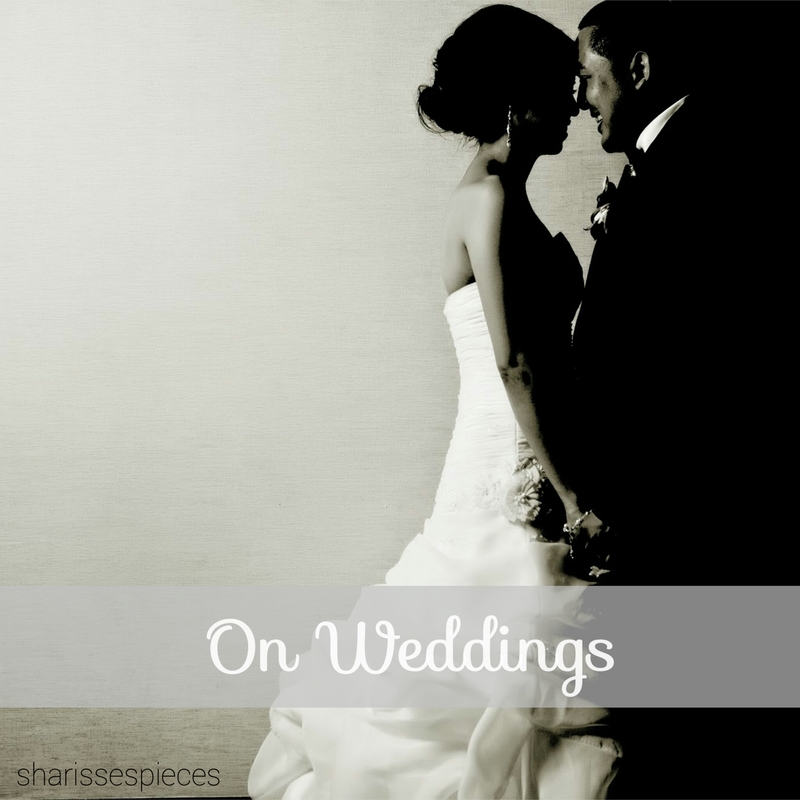 The sickness definitely made its way around the house, affecting me and the hubs, too. We are just one sick family! Being a working mom (and parent for that matter) is exhausting! I wish I could go back in time and slap the sillies out of my old self for complaining about being tired after work. Even worse, my old self when all I had to worry about was myself and going to school! 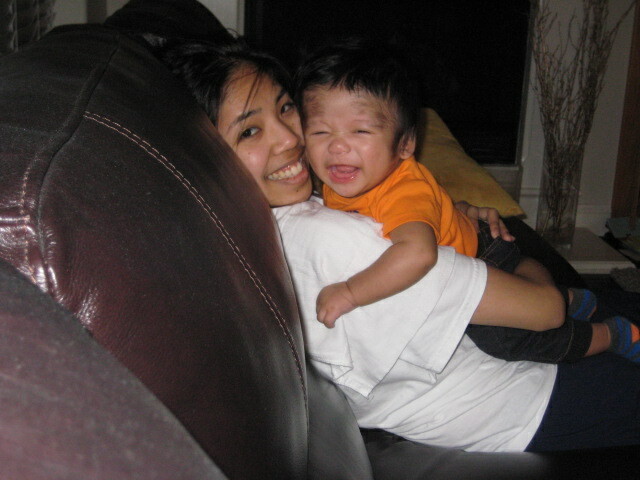 I wouldn’t trade my current life for anything, but how carefree and naïve I realize one can be pre-children. We’re slowly, SLOWLY getting into the swing of things. It’s such a big help to prepare things the night before to avoid a chaotic scramble in the mornings, but even with all the prep we do, it’s still a mad rush to get out of the house. 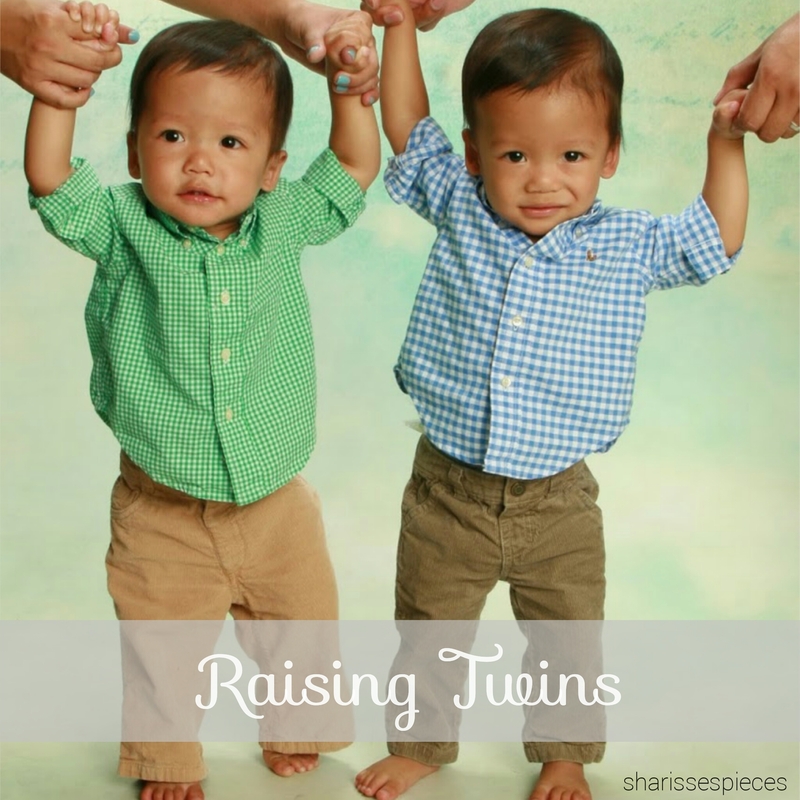 There’s a constant juggle between getting enough sleep, getting out of bed and dressed for the day, waking/feeding/changing the boys, gathering all of our stuff, gathering all of the boys’ stuff… it’s such a huge ordeal! We’re certainly getting better at leaving the house in general, but during the week, it’s important to have everything since the boys will be at daycare all day and we will be at work. Took a walk around the block during my last week at home. Loving the boys’ new ride. The boys sporting their Monsters Inc. shirts! There’s the Jer Bear smile! 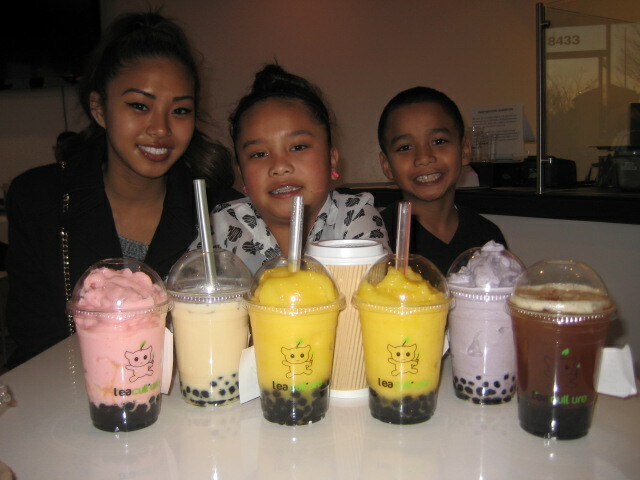 Hanging out with the boys’ cousins… We checked out a new boba spot! The two kiddos on the right are twins also! Can you guess the flavors?! We’re so grateful the boys were able to meet their great-grandmother at the end of last year. We’re also blessed she was able to see us get married. She will forever be in our hearts! 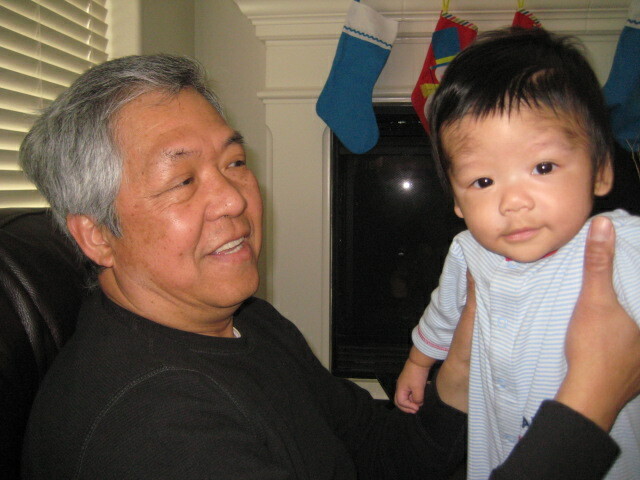 The boys’ Lolo and Lola (grandfather and grandmother in Tagalog) visited because of the funeral. It was also bittersweet to have them back to see the boys. 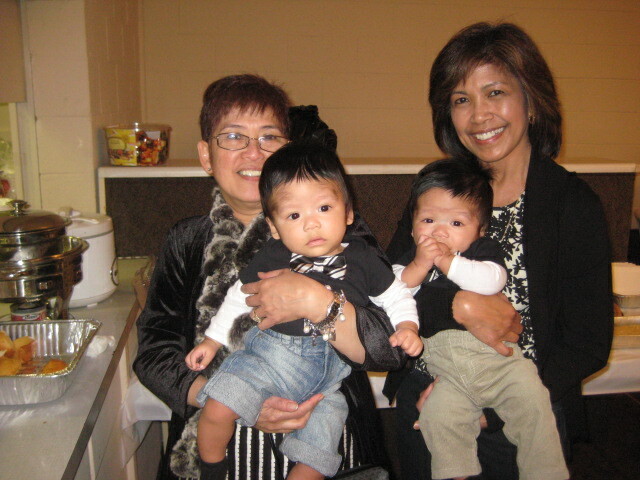 The twins with their Lola (hubby’s mom) and Granma (my mom)! 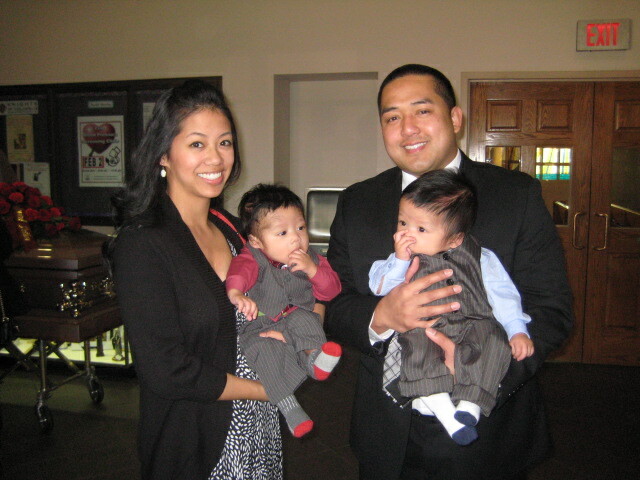 And we can’t forget Auntie Ninang! A a fun little video was shared in my mommy group and I wanted to share it not only with my fellow moms, but all parents. A nice little reminder to breathe and enjoy parenting despite how hard it can be. It’s always a nice reminder that no matter what, our best is more than enough! More on mommy confidence HERE! 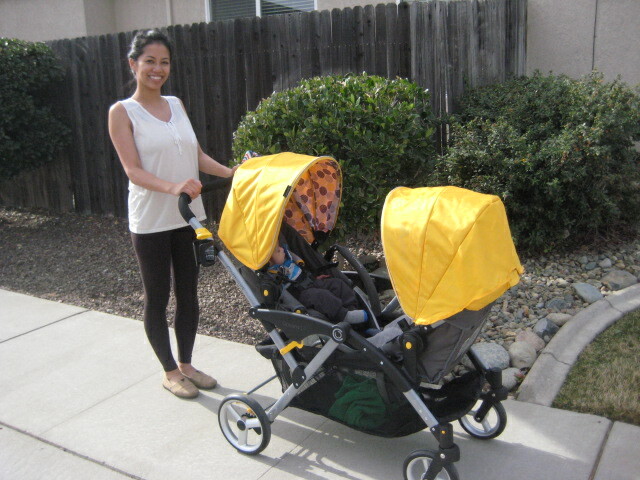 This entry was posted in baby, family and tagged AJ, Auntie Ninang, boba, daycare, solid foods, work. Bookmark the permalink.